I am fairly picky about my sweets. If I'm going to eat a cupcake it better be a great, moist, dense cake with a lot of flavor topped in a buttercream that tastes more of butter than confectioners sugar, and even then, I usually remove most of the frosting. I'm not one for grocery store cupcakes, or sugary sheet cakes, and you won't find me eating a plain Hershey's bar any time soon. When I was a young teen, growing up in Ohio supping on dry sheet cakes and overly sweet candy bars at birthday parties, I believed that I didn't really like cake or candy bars very much at all. It took me a while to understand that there was a difference between a Giant Eagle brand rainbow-frosted sheet cake, and a rich, moist, triple chocolate cake with chocolate ganache between the layers. Or, that there were Hershey's bars and Snickers bars, and then there were 70% cocoa dark chocolate bars with candied orange peel on top. I didn't dislike desserts, I disliked overly sweetened, poorly made desserts. When I first moved to the city, I lived on campus at the Fashion Institute, and during my second year I had a small kitchen in my dorm, which had a small refrigerator, in which I always had at least one exciting bit of chocolate. 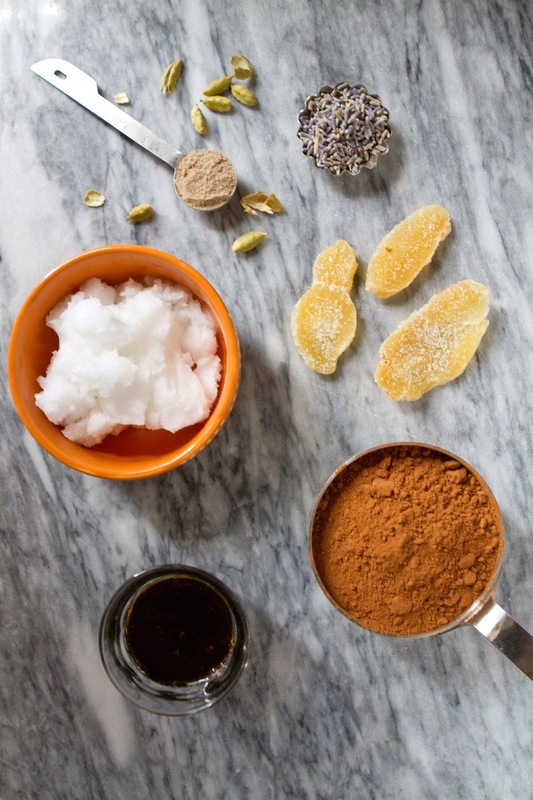 My favorites were a dark bar with cinnamon and spicy peppers, and a sweet-n-salty bar spiked with goji berries and pink sea salt. 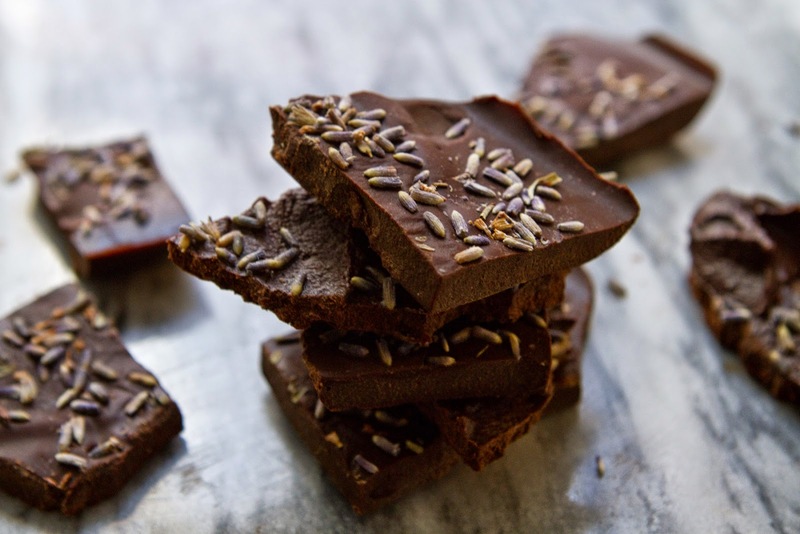 I preferred Vosges chocolates, which is not cheap stuff, so I would limit myself to two 1" squares of chocolate a night, taking tiny nibbles and letting the complex, spicy-sweet-salty-fruity bars melt in my mouth in chocolatey bliss. When I moved to a small city in Washington state to finish school all the convenience foods of Manhattan, bagel shops, juice places, fast food korean, boba, fancy chocolates, french macarons, were much harder to come by. Or, at least, they weren't within walking distance of my little house next to a goat and chicken farm and across the street from a forest. So I began to make desserts instead. It started with cookies, but quickly evolved into lemon cakes and pineapple upside down cakes, to chocolate pies and blueberry crumble bars, coconut custard, lime squares, and foraged fruit crisps of every kind. But it wasn't until very recently that I started making chocolate bars. I can't believe how simple they are to make! I call these refrigerator chocolates, because you need to store them in the fridge to keep them from being as melty as a Reeses cup left in the car in July. They make a fantastic late night dessert nibble, every time I walk by the fridge I want to stop and grab another! 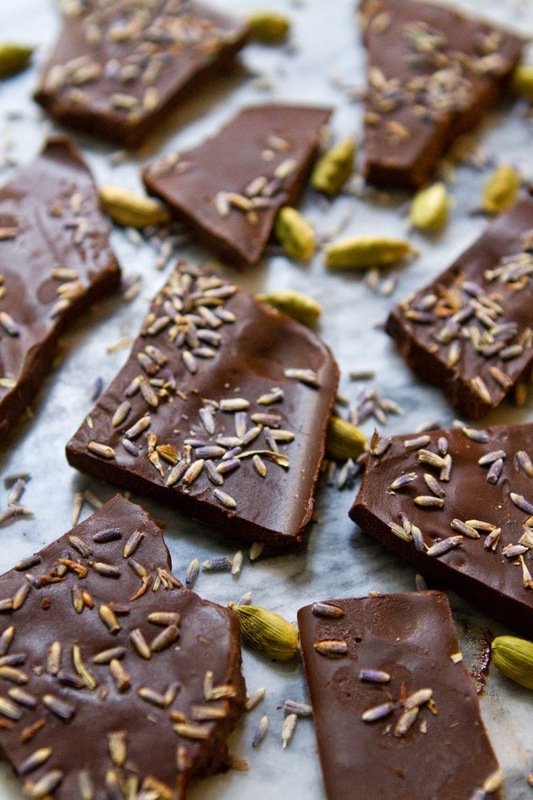 I added cardamom to the cocoa powder to make a more complex bar base, and the little note of spice in the bar is absolutely lovely, and has a bit of an exotic taste. 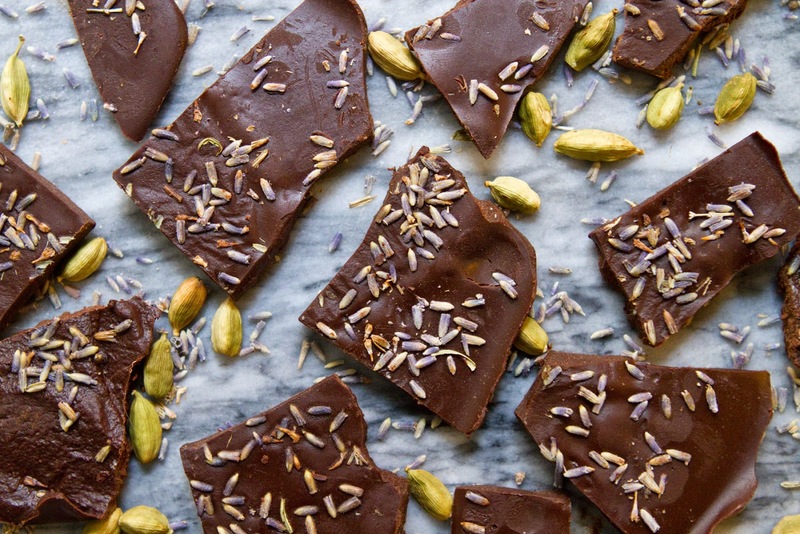 I'm suggesting two different toppings for these slightly-healthier-than-most chocolate bars. 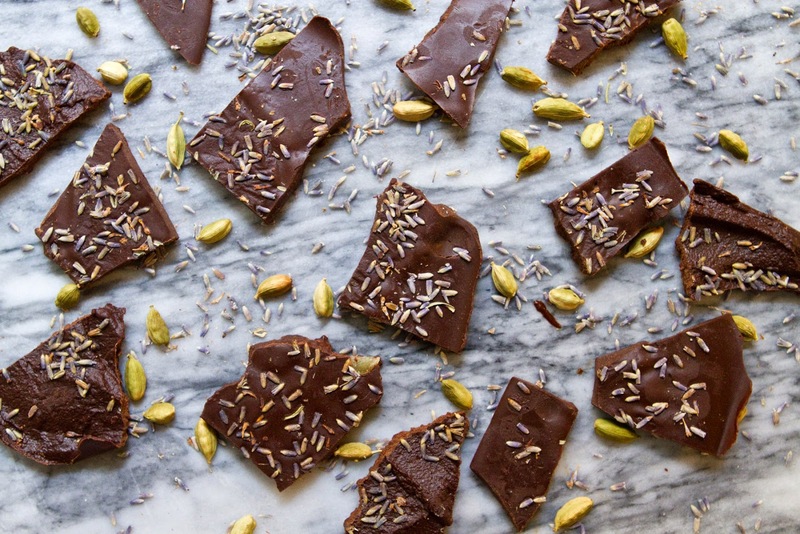 One Paleo friendly option of dried lavender (which was absolutely lovely, if you've never tried lavender chocolate, now is the time! 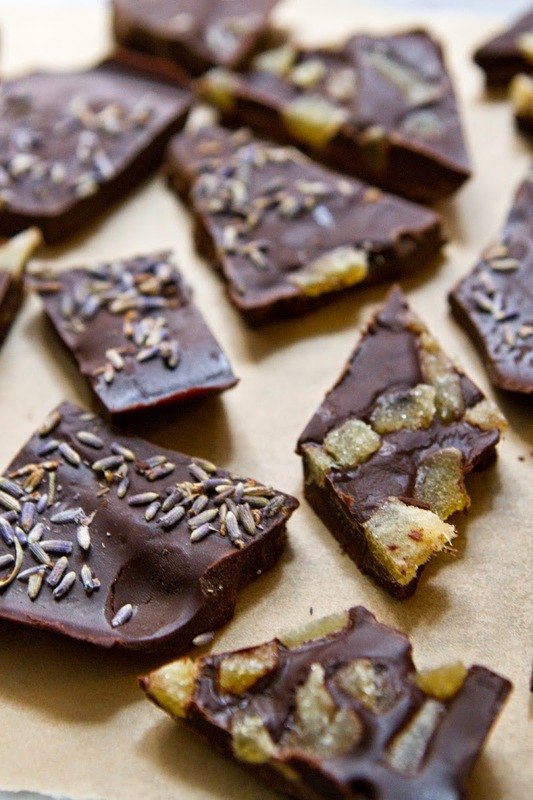 ), and one slightly more sugary option of candied ginger, but you could top these in any number of things. 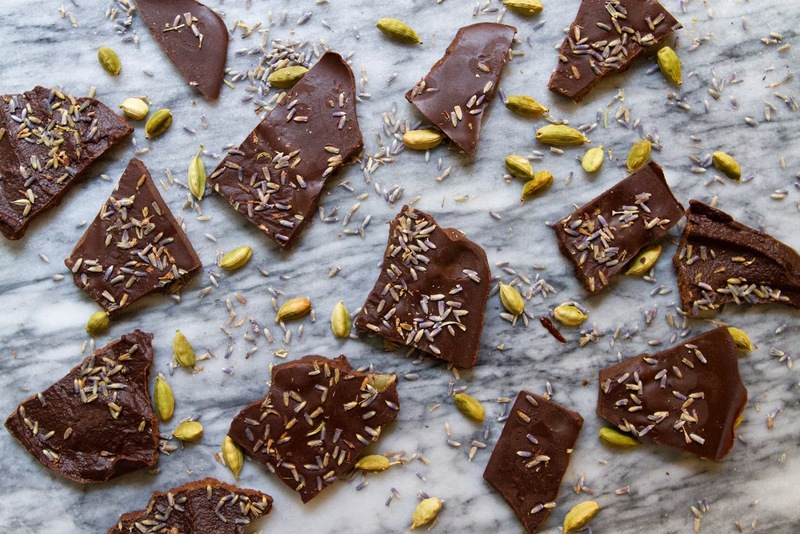 Dried orange peel, slivered almonds, broken pretzel bits…. oh gosh, broken pretzel bits just sounds heavenly. I think I have to run out and get pretzels and make those asap! Line a small 6X6 or 6x8 pan with parchment paper or a silpat, set aside. Allow paper to come a bit up the sides, about 1 inch on each side. Add coconut oil to a small sauce pan, over very low heat, and melt, then warm for 1-2 minutes. Whisk in honey or maple until well combined. 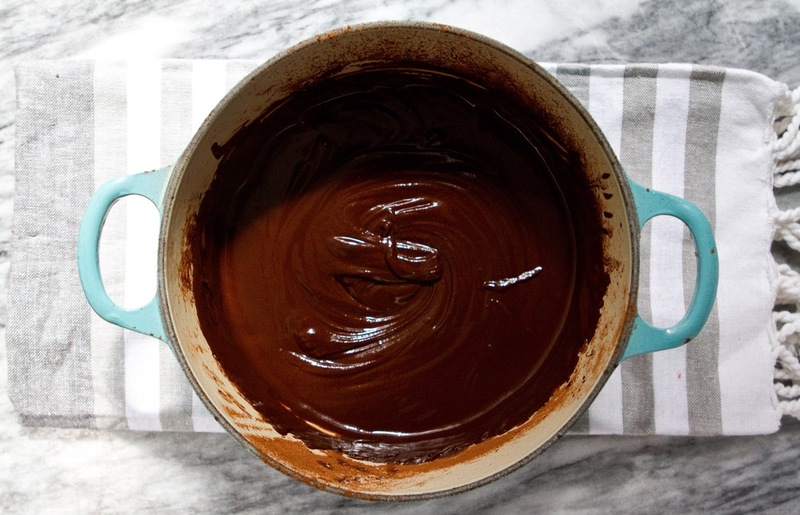 Mix in the cocoa powder and cardamom, then whisk until mixture is glossy and shiny and cocoa powder is fully mixed in. Remove from heat. Pour mixture into parchment lined pan and spread out into an even layer. Place entire pan into the freezer for 5-8 minutes. 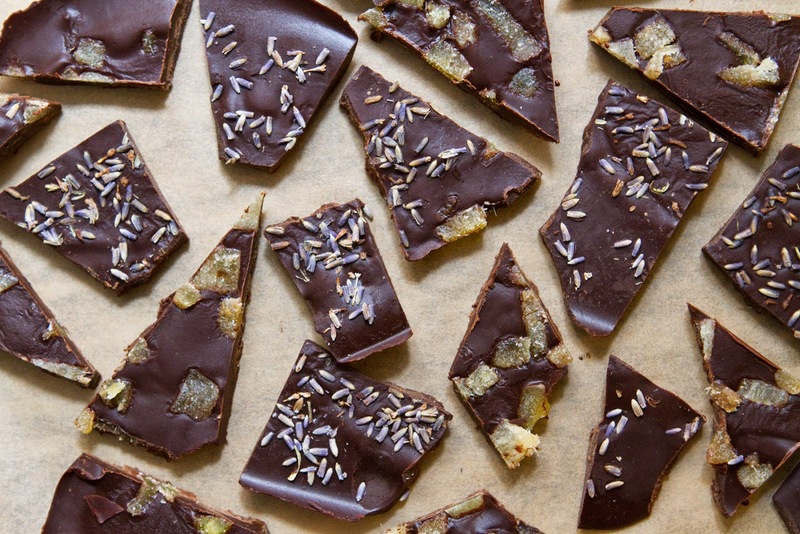 Remove pan from freezer and top chocolate with a sprinkling of lavender flowers or candied ginger. Return pan to freezer for 45 minutes. After these have solidified, break or cut into desired sizes. Store in refrigerator.